Emotions are filters for how we experience our selves and the significant people in our lives. When in the grip of a strong emotion, there is a narrowing of attention, which inhibits our capacity to see things clearly. This is particularly true with the compelling nature of negative emotions. When we feel injured, threatened, or shamed, we are at risk of using our thoughts, language, and action unskillfully. Drawing on a Buddhist influenced psychological perspective, this workshop will focus on the nature of emotional experience and the way it can cause havoc and harm in relationships. Particular attention will be paid to the way reactivity can become amplified and multiplied in systemic work. Emotions in Buddhist psychology are passing states that are the result of current conditions, which come and go. When not managed skillfully, emotions can cause a great deal of suffering. Over the course of 2,000 years, Buddhist psychology has developed a specific set of practices that decrease suffering and cultivate well-being. Through the use of didactic presentation, experiential exercises and videotape, this workshop will explore ways to work skillfully with aroused emotional states using the practices of mindfulness, patience, compassion and gratitude. 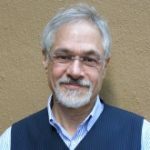 David Kezur, LCSW, is a faculty member of the Ackerman Institute for the Family and has an ongoing interest in the connection between Buddhist psychology and systemic therapy. David is a long time practitioner of Vipassana Buddhism, and for the past five years, has offered workshops on Buddhist Psychology and Systemic Therapy. In addition to teaching family therapy, he maintains a private practice in New York City. If you are an Ackerman alumni of the Externship or current Ackerman student, please contact the Training Department to register.